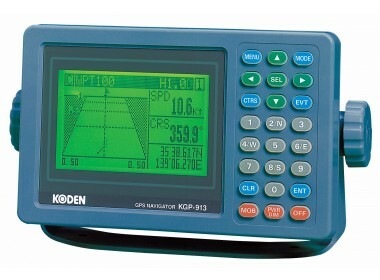 Please fill in the short form below with your question, either about the Koden KGP913, or for some technical advice. Please include details of your vessel if you feel they will help us answer your query. A high performance, easy to operate, compact, and most importantly accurate, GPS Navigator. Also available in a DGPS version. 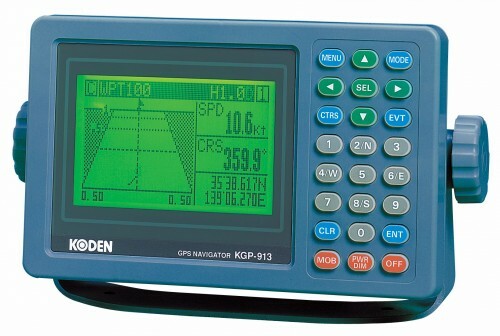 With all these features, the KGP-913/913D is ideal for pleasure craft and fishing boats. "Fix anywhere" capability automatically fixes your position at turn on. A user-friendly menu makes operation easy from the very start. An easy-to-see LCD with backlight, displays various information for navigation. For current position indication, Loran C LOPs are also available for those who have been using a Loran C-type navigator. Two types of graphic displays lead you to your destination. Displays of lat/long, boat speed and heading, average speed, average bearing, passed time, distance/bearing to waypoint, cross track error, course deviation, time to go, total time/distance to destination, DOP value, present date/time (UTC or LTC), GPS satellite status, DGPS status and MOB indication are all selectable. Two hundred waypoints (which can be named or commented) and 200 event memories for storing the position of wrecks, reefs and fishing spots with one key press. High performance and accuracy, compact and easy-to-operate. 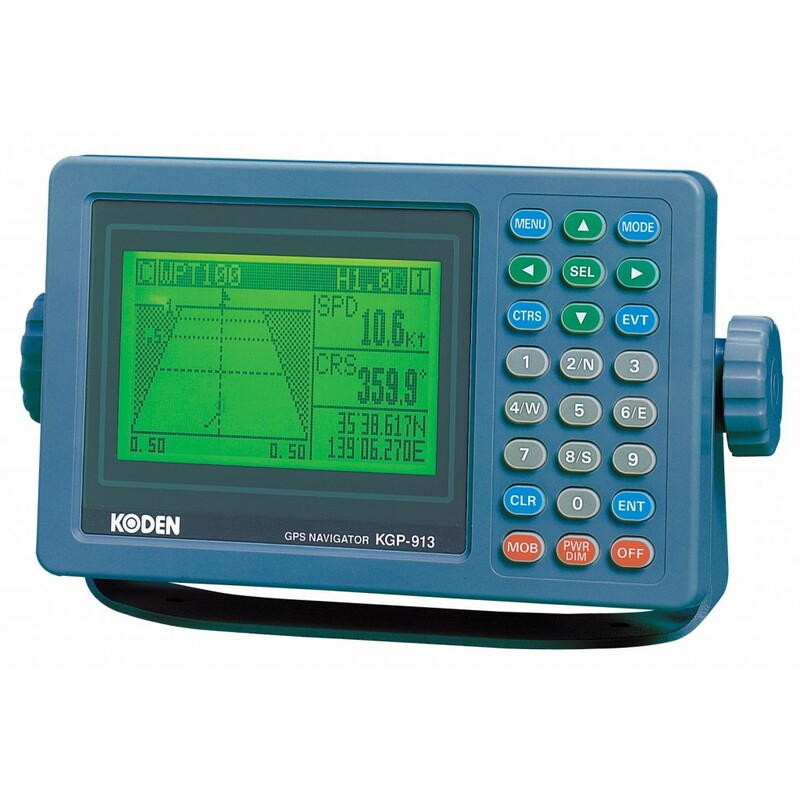 With all these features, the KGP-913/913D is ideal for pleasure craft and fishing boats. A total of 400 stored waypoints can be used to create up to 20 routes. A route may be taken in forward or reverse order. In navigation mode, indication of track error to the destination with distance (cross track error) and angle (course deviation) in addition to speed and bearing are shown. Audible and visual alarms of cross track error, course deviation, waypoint proximity, anchor watch drift and DGPS are available for power saving and hazard prevention. In case of emergency, the Man Over Board function automatically stores the position where the emergency has occurred, providing continuous update of distance and bearing to that position, making recovery quick and easy. NMEA-0183 output for interfacing with other devices onboard. Your vessel's track history (up to 2,000 points) and course line to the destination are simultaneously displayed. Thanks to a built-in beacon receiver, it can be used as a high-accuracy differential GPS navigator. Beacon stations all over the world are pre-installed (in countries where differential beacons are located).